No matter what the occasion you always want your product or business to look good. Full colour brochures are the perfect way to do this. Using photographs, logos and text we combine imaginative design with quality printing to produce a brochure that we know you will be happy with. 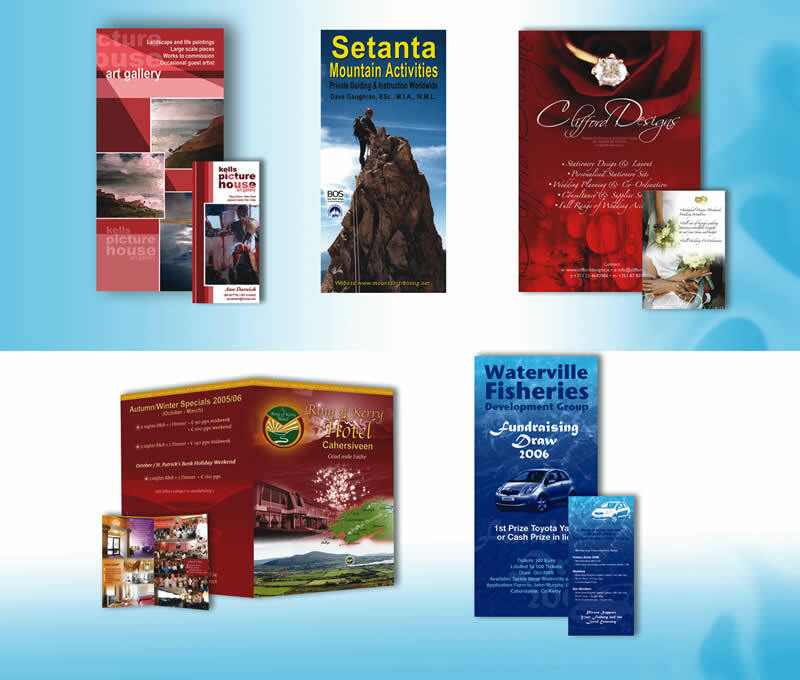 Brochures can be printed in a variety of sizes and always on top quality gloss paper to give a perfect finish.